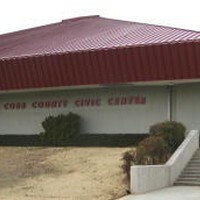 Cobb County Civic Center consists of Hudgins Hall and Jennie T. Anderson Theatre. Hudgins Hall hosts many types of events, including sporting events, collectors shows, graduations and more. The Jennie T. Anderson Theatre is a performing arts stage that hosts concerts, plays, recitals and other events. Parking: Free parking is available at the facility.